We have in our repertoire a qualitative range of MOBILE Asphalt Plants . These have high production capacity and are widely used in construction and developments of roadways. Our range is fabricated in accordance with the set industry standards using quality raw materials. 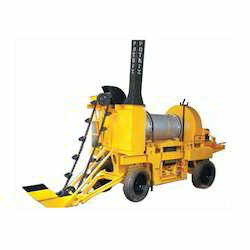 We also customize these machines as per the preferences of our clients and offer them at competitive prices. We are one of the leading names in the industry that offers a qualitative range of Asphalt Plant Equipment for Premix. These are fabricated in our state-of-the-art manufacturing unit using quality raw materials and advanced production techniques. Our range is sturdily constructed and widely acclaimed for its excellent performance along with a longer functional life. We also offer these in customized specifications as per the clients’ requirements and at competitive prices. Looking for Asphalt Plant For Premix ?